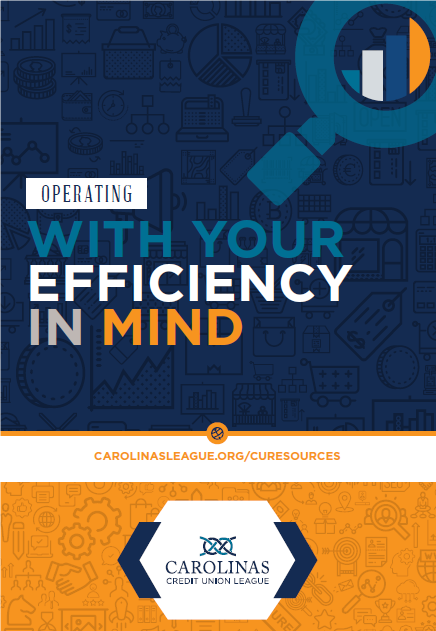 The Carolinas Credit Union League Credit Union Resources Department is pleased to release its latest brochure. Titled “Operating with Your Efficiency in Mind,” the brochure shares the benefits of partnering with CU Resources to meet your operational support needs. Feature services, led by a team with years of experience in financial services and the credit union movement, include Audit and Credit Union Accounting Services, Human Resources Services, and Small Credit Union Initiatives. Pricing is discounted for all League-affiliated credit unions and varies based on each credit union’s unique volume, frequency, and selection of services. Sharing her experience for inclusion in the brochure, McDowell Cornerstone Credit Union CEO Amy Johnson notes how impressive it is to work with a team that exceeds her expectations. At a time when she needed urgent assistance with ALLL methodology, members of CCUL’s audit team were available to help. “It is rare this day and time to find this kind of dedication to a job,” said Johnson. Learn more about what CU Resources has to offer today! The brochure which includes details on a discount offer for a new contract service is available on the CU Resources webpage at www.carolinasleague.org/curesources.